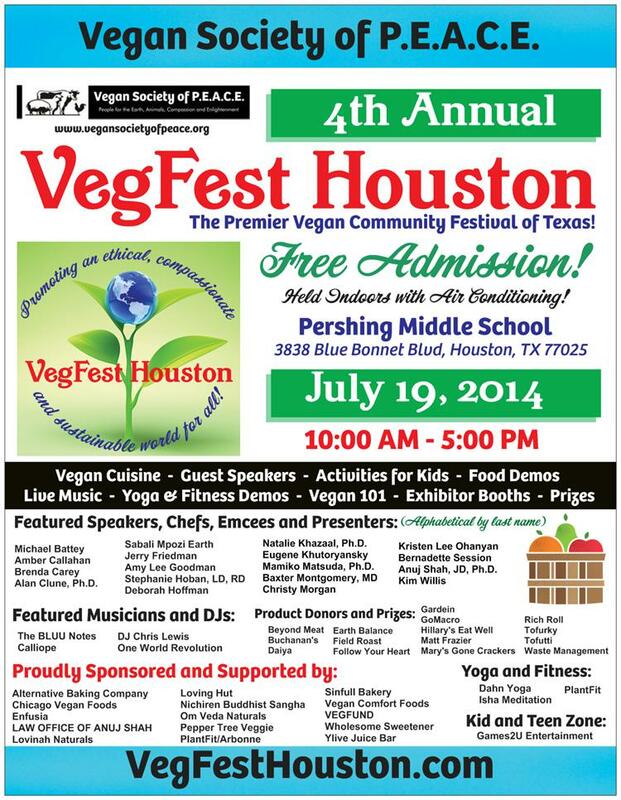 Share our VegFest Houston 2014 Posters on your Facebook pages, Twitter and blogs! See our press releases and media links below. 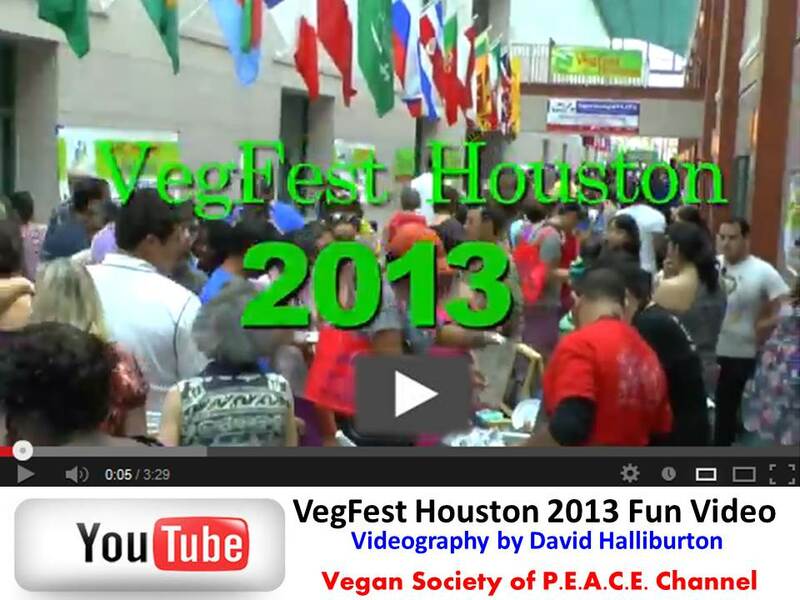 To inquire about media interviews before the festival date, please email us or call our message line at 832-3030-VEG. We welcome all media to attend our event! Please check in with a festival committee volunteer upon arrival. Culture Map Houston: "Your Weekly Guide to Houston: Five Don't-miss Events, Including a Wild VegFest"
Official Press Release from Vegan Society of P.E.A.C.E. Use the Share option to add these Promos to your Blogs and Facebook pages. Help spread the word.